This will be an exciting week for Sandersville and Lilly T. Grace! 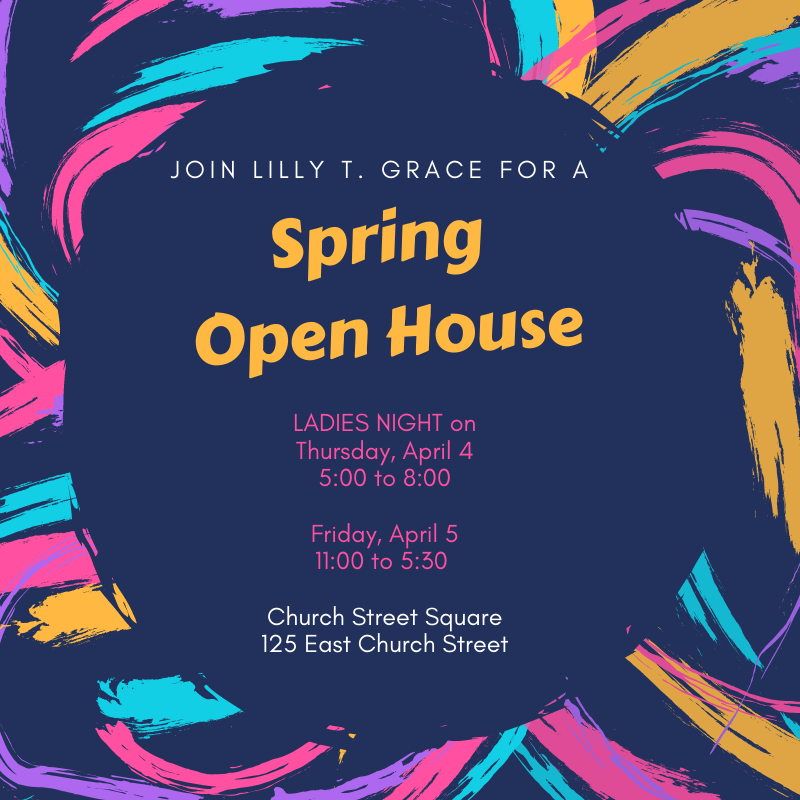 We are happy to be joining other local businesses and shops to host a Ladies Night on Thursday, April 4, and, then, on Friday, April 5, we will be having our annual SPRING OPEN HOUSE! This is a great time to purchase graduation and teacher gifts, and we will be hosting a Lisi Lerch trunk show. They have sent some of their NEW earrings for Spring that are currently not even available on their website. Please make plans to join us in downtown Sandersville! If you aren’t local, please shop with us via our website as well as social media! Send us a message via Instagram or Facebook or email us at lillytgrace@gmail.com if you see something you would like to purchase. We are always happy to help!